New wineries pop up all the time. Every year we see new wineries in California trying to sell the next big thing. New winery owners plop down several million dollars on a few acres of prime real estate, pay one of the state's top viticulturists to manage their grapes and finally pay a celebrity winemaker's ransom to consult on how to make a wine that will score 100 points from one of the wine world's tastemakers like Robert Parker, Jr. or Steve Heimoff. More often than not, a larger winery or wine conglomerate will buy another winery and incorporate the new brand into its portfolio. The new management infuses capital and shakes things up to give the appearance of the brand being reborn. Sometimes this works, and sometimes it doesn't. Very rarely do you see one producer operating two wine brands completely independent of each other. This is exactly what Jay and Jennifer Christianson have done with Anemoi Wines. While they remain the proprietors of Canyon Wind Cellars, Jay makes it very clear that Anemoi is independent of his other winery. Started in 1996 by Jay's parents, Norm and Ellen Christianson, Canyon Wind Cellars produces old world-style varietal wines. The new generation of Christiansons want to continue that legacy, but also start a new legacy with Anemoi. 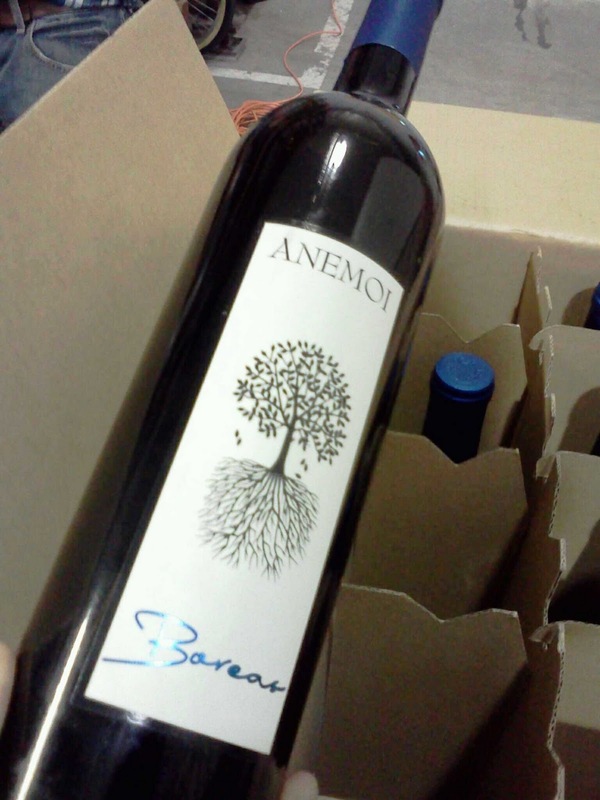 While the grapes are sourced from the same vineyards, Anemoi's focus will be big bold new world-style premium blends. While much of the work will continue to take place in the vineyard, Anemoi wines will most likely see extended macerations and oak aging to kick up the intensity a notch. The first release was the 2009 Boreas. This blend of 43% cabernet sauvignon, 21% cabernet franc, 21% merlot and 15% petit verdot is sure to please those lucky enough to find a bottle; only 169 cases were produced. To add to the mystique of Anemoi, the wines will only be sold at the winery and on top restaurant wine lists. Even at $40 per bottle, this super-premium blend is worth the price of admission and actually drinks above its price. If this wine had "Napa Valley" on the label, you would easily see triple digits on the price tag. Also, look for a few more Anemoi wines to be released in the near future. I hear a white dessert wine is in the works!